You can change the sequence head by dragging any vector shape from the library over the existing sequence head. 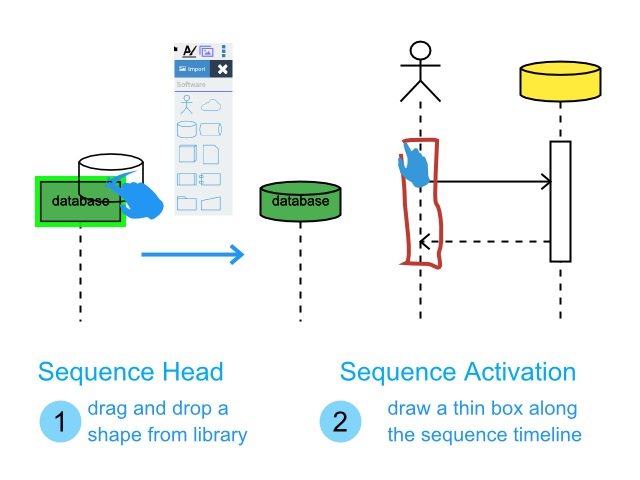 To draw sequence activation, you need to draw a thin box along the sequence timeline. The connector will automatically adjust itself when the activation is detected. You can change the activation property such as coloring and deleting with the normal gesture command. 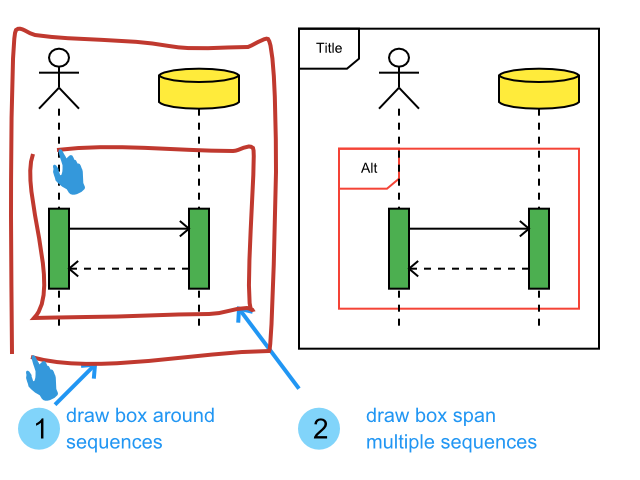 You can draw a sequence frame by drawing a box around the whole sequence or drawing a box that span more than one sequence timeline. Sequence Frame behaves like a boundary box.